Designed to target your specific hair care needs. Caivil leaves your hair feeling tamed, manageable & smooth. 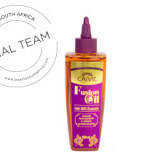 Our gentle formulas & nourishing oils ensure a conditioning care that leaves your hair soft & easy to maintain. 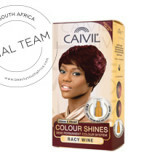 The Caivil hair care range is your quick and effective route to naturally luxurious hair. This hair food contains a special blend of hair oils that have long been associated with scalp care & promoting hair growth. Lavender Oil and Rosemary Oil are effective in calming itchy, irritated scalps, and Avocado Oil and Olive Oil condition and nourish the scalp. Price: R29.99 Size: 125ml Availability: Selected retailers. This essential oil infusion contains, Black Castor Oil and Argan Oil to help strengthen your hair, while decreasing breakage, aiding in hair growth and thickness. Added to this mix Coconut Oil, Neem Oil and Tea Tree Oil which also promote a healthy scalp and support hair growth, and before long, you will have the results you want. 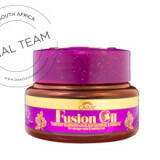 Price: R33.99 Size: 150ml Availability: Selected retailers.